Posted on March 18, 2014 at 11:03 pm. One might think of Glen Tilt as the drove road less travelled. Bisecting the Grampian massif, it divides the mighty Beinn a’ Ghlò to the east from the wild treeless Forest of Atholl to the west. I’ve been there a few times over the years, most recently working with the artist Victoria Bernie and landscape architect Lisa Mackenzie on The Valentine Project. 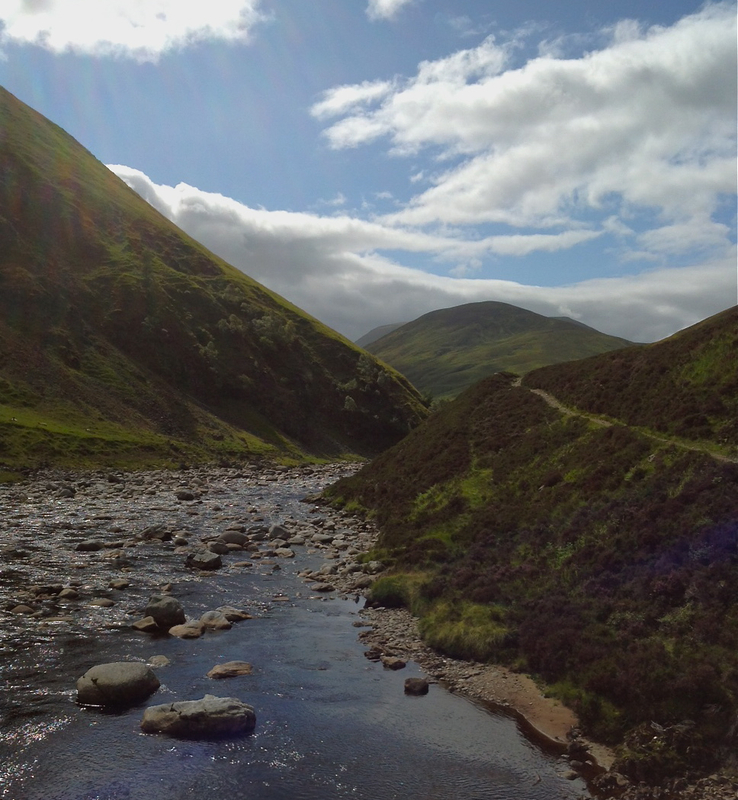 This remote glen occupies a central place in the modern history of Scotland. ‘There is scarce in the Kingdom a better known piece of roadway than that which runs through the glen’ observed the Victorian writer and geologist Hugh Miller. ‘There is not a man in science in the world who has not heard of it’. 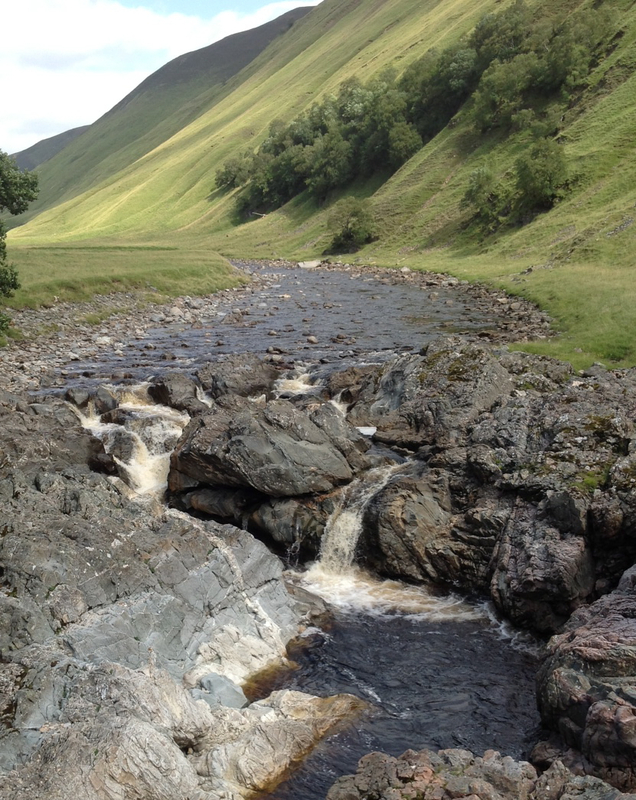 Glen Tilt’s nineteenth century renown was partly founded on the visit of two field scientists, distantly related: the Scottish geologist James Hutton (1726-1797) who visited in 1785; and Hutton’s cousin’s grandson: the botanist John Hutton Balfour (1808-1884) who visited in 1847. Each of these visits – a lifetime apart – left its mark on the Scottish imagination. It was in Glen Tilt that James Hutton found evidence for his theory of Plutonism and of deep time. In the exposures created by the River Tilt, Hutton observed how granite was to be found ‘breaking and displacing’ the schists ‘in every conceivable manner’. For Hutton, this suggested that granite had once been molten – the result of volcanic activity. As such, it gave us a glimpse of a geologic time that had, famously, ‘no vestige of a beginning, no prospect of an end’. In a later age, Hutton’s grand nephew, John Hutton Balfour, then Professor of Medicine and Botany at the University of Edinburgh, took his students on a botanical field class. There they were met – and then violently repelled – by an enraged Duke of Atholl. The resulting furore saw the ‘Battle of Glen Tilt’ taken to the House of Lords which, in finding against the sixth Duke, paved the way for Scotland’s statutory and cultural freedom to roam. 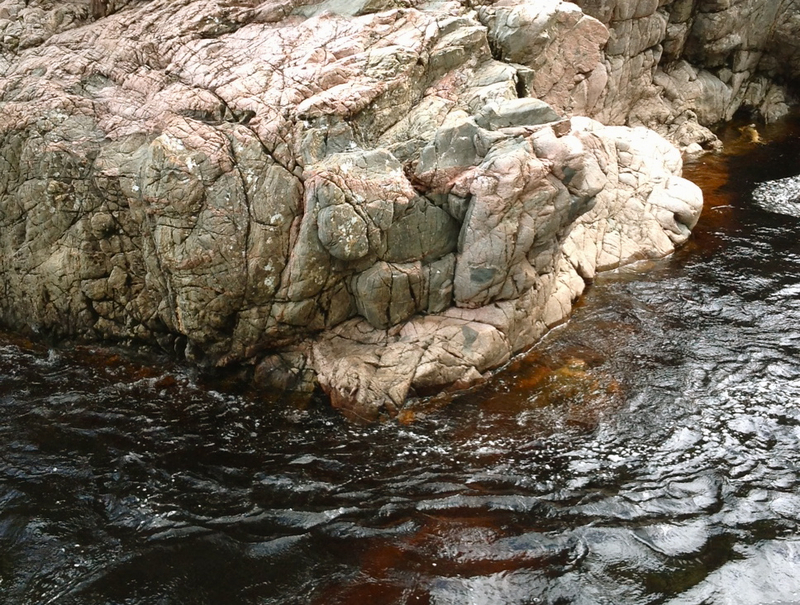 It is this unique past that can justify an apparently hyperbolic claim: that in the upper reaches of Glen Tilt we can find vestiges of our modern sensibility about time and space. For it was in Glen Tilt that our hard-won freedom to roam was tested and tempered; and it was here too that the abysmal depths of geologic time – what has become the assumed epistemic background to the present landscape – found early demonstration. Landscapes like Glen Tilt may be geographically particular but in such isolated contexts universal theories can arise; science, like art, is situated in place. Landscape is the cradle of invention. Walking up the glen with Victoria and Lisa, I was reminded of the epigraph to John Berger’s remarkable novel Pig Earth, about the waning of Europe’s Alpine peasantry. It reads: ‘others have laboured, and ye are entered into their labours’ (Pig Earth and Berger’s two successive novels are for this reason known as the Into Their Labours trilogy). If Berger can appropriate the quote from Christ in the Gospel of John, I see no reason why I cannot also let it loose in Glen Tilt. For it well describes a recognition that our labour follows that of our ancestors; our routes follow their routes; our modes of thought are shaped by their cultures of experiment and observation. Our fieldwork collaboration in the Grampians links us, in unexpected ways, to these earlier fieldworkers. Their work is unavoidably present in ours. We walk and think our way up the glen, in part, because a century and a half earlier John Hutton Balfour, our antecedent at Edinburgh University, fought for the right to do just this.